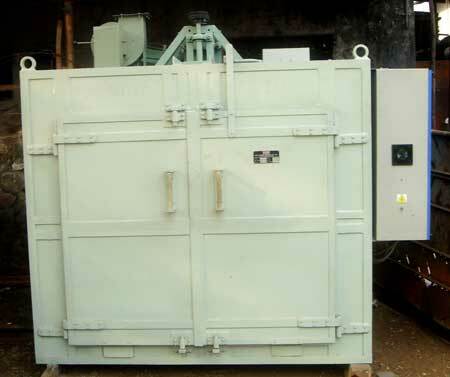 Meta Therm Furnace is a well-known Trolley Oven manufacturer in India. We have a team of trained technocrats which has abundant experience in dealing with Industrial Ovens for Drying, Baking, Curing, etc. MTF make trolley oven can have single door or double leaf door. Single door can be opened / closed automatically through remote control panel. Similarly the trolley movement can be manual / automatic.